Help finish the NE Multnomah Pollinator Corridor! Join us in the morning on Sunday, May 20th as we complete the final phase of the NE Multnomah Pollinator Corridor! Throughout the day we’ll be replanting the city planters with native perennials and annuals, and learning about pollinator species, native plants, and local ecology. Get to know your neighbors while working to add some color to Lloyd and improve our bike and walk ways. I want to volunteer at the planting work party! 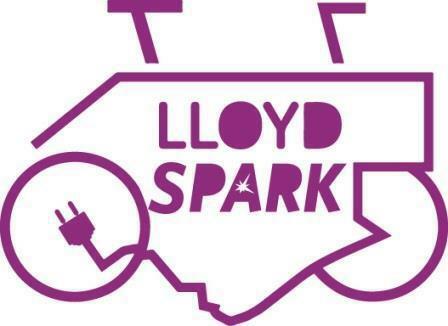 Electric Bikes are coming to residential buildings in Lloyd! your building to check out May 21st-June 30th. Explore Portland on two-wheels with ease, participate in fun weekly challenges, and enter to win an e-bike for your building! Contact Courtney at courtney@ecolloyd.org if you are interested in signing-up for the program or if you have any questions! May is the Bike More Challenge and the start to a season of biking in Portland. You can find all the resources and incentives to get you rolling on two wheels on the Bike More Challenge website. Our partners Go Lloyd will also be hosting a number of rides, events, and workshops throughout the month. Lloyd Community Association Coffee Thursday, May 3rd 8am-9am at Macy’s Backstage. Bike Month Kick-off Lunch Ride Friday, May 4th 11:30am-1pm at Holladay Park. Go Lloyd Pedestrian Committee Meeting Wednesday, May 9th 12pm-1pm at the Go Lloyd offices. Basics of Bicycle Maintenance with PBOT Wednesday, May 9th 6pm-7:30pm at Hassalo on Eighth. Bike Breakfast Thursday, May 10th 7am-9am at Lloyd Center Plaza. Bike to Work Day Party! Friday, May 18th 11:30am-1pm. Pollinator Corridor Work Party Sunday, May 20th 9am-12pm at Kaiser Permanente. Bike Bucket and Shop by Bike Workshop Wednesday, May 23rd 6pm-7:30pm at Hassalo on Eighth Plaza.